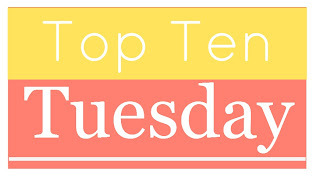 Top Ten Books I’d Want On A Deserted Island! Hamlet by Shakespeare: I’ll need one from Shakespeare to take along, and this is the play I like best. The Bible: I’m not particularly religious, but I think I’d need some comfort from the Bible! Foucault’s Pendulum by Umberto Eco: One of the most engrossing but complex books I’ve ever read, figure this would be good to read when I’m mind-numbed with boredom! Dragonflight (Dragonriders of Pern) by Anne McCaffrey: There’d be plenty of time to daydream about my first literary crush – F’lar! Guards! Guards! by Terry Pratchett: The first Discworld book I read and still my fave – Captain Vimes of the City Watch, Carrot, Cut-Me-Own-Throat Dibbler! All old friends! Dune by Frank Herbert: This is one book I will NEVER tire of re-reading. I even got the 40th Anniversary Edition just because! The Eyes of the Dragon by Stephen King: In case you didn’t know, yes, Stephen King took time out from his busy horror schedule to write an AMAZING fairy tale. Loved it as a kid. Love it still. 4-Book Boxed Set: The Hobbit and The Lord of the Rings: The Hobbit, The Fellowship of the Ring, The Two Towers, The Return of the King by J. R. R. Tolkien : I’m going to cheat and pretend I managed to drag along a boxed set to some island 😉 I just couldn’t pick one from the set – they’re all like the ultimate in fantasy! Jurassic Park: A Novel by Michael Crichton: Because reading about dinosaurs will never get old! I have never read any of the Dune books but they are my husbands favorite series. Some day I will get to them. Two FREE eBooks from Harlequin (Need Facebook)! Twitter Deal Alert! Barnes & Noble NOOK HD Snow 16GB just $199 via Target!